On the left we have tactilegoods’ lovely Mesh Silk Blouse which started out with long sleeves. Then on the right member Ellen Hatteland whipped up this jersey/linen Wrapped Dress that she altered due to her lack of fabric (she used a copy of the back skirt for the front!) – and it turned out fabulous! 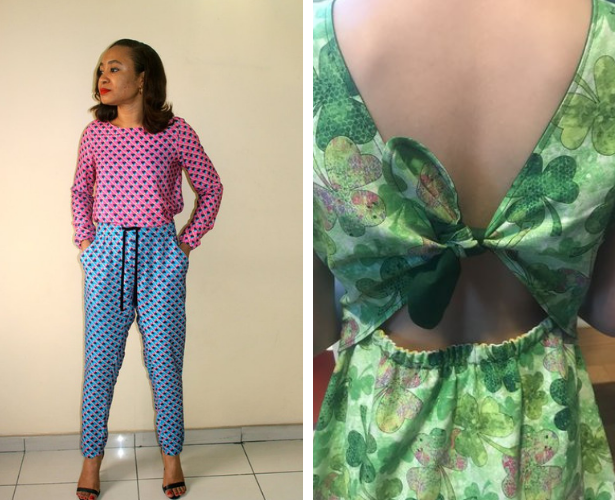 Nedoux sewed this absolutely gorgeous 2 Piece Trousers & Blouse Set utilizing some print blocking, and then on the right we have janegedgren’s lovely little Shamrock Dress which is a perfect project for March. On the left member gardengal made this Loosely Fitted Blouse in a beautiful paisley print. And on the right elenaakish whipped up this French Look using our leather leggings pattern. 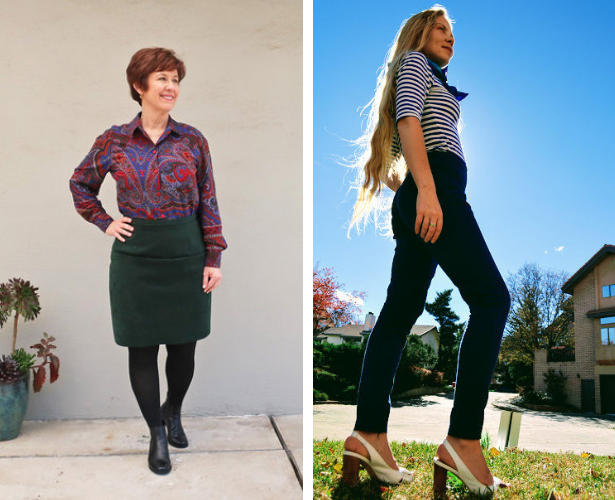 Matkailijakirppu on the left sewed up this Retro Bow Blouse that is perfect for spring. 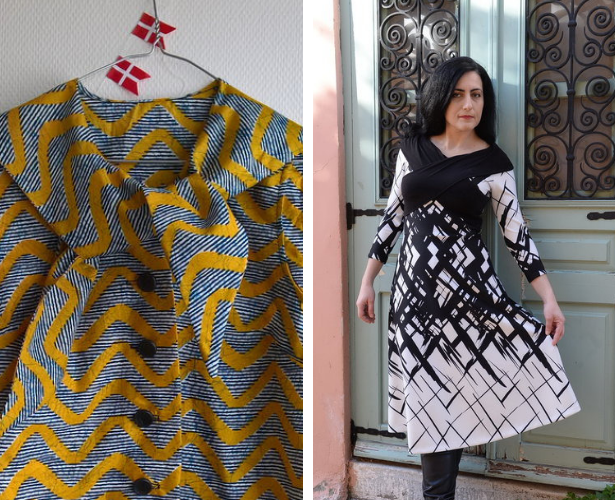 Then Elpida Kyriakou on the right made just One More Dress… which turned out beautiful. When member olia1981 first saw this pattern she didn’t like it, but after seeing others sew it she found herself making her own Ruffled Blouse. Ellen Hatteland on the right also made this lovely Pleated Dress in colorful jersey that she found in her stash. 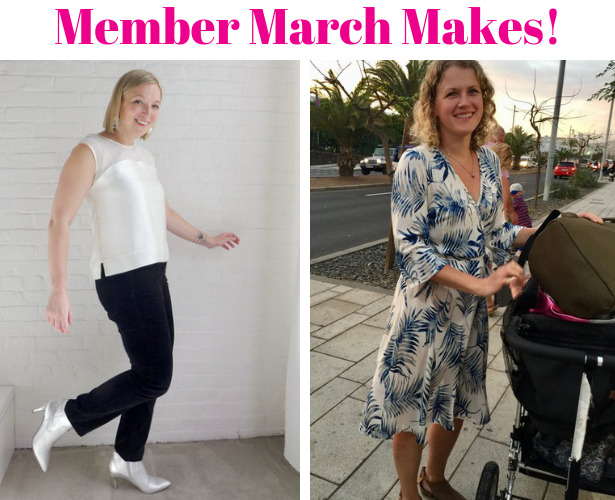 Thanks to everyone who posted and shared their March makes! 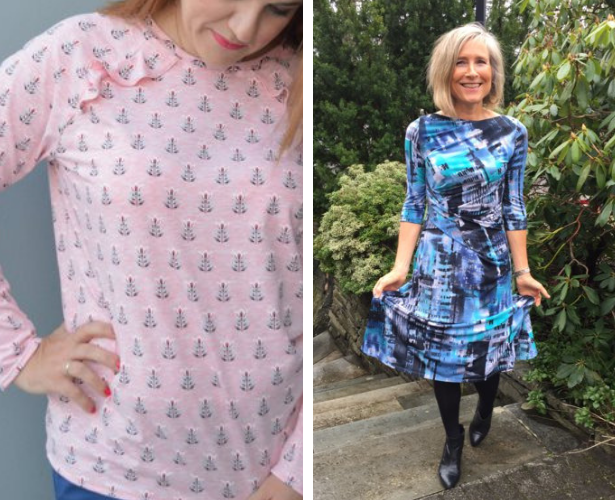 Over on Instagram, here are some of the projects shared in February using the #burdachallenge2019. 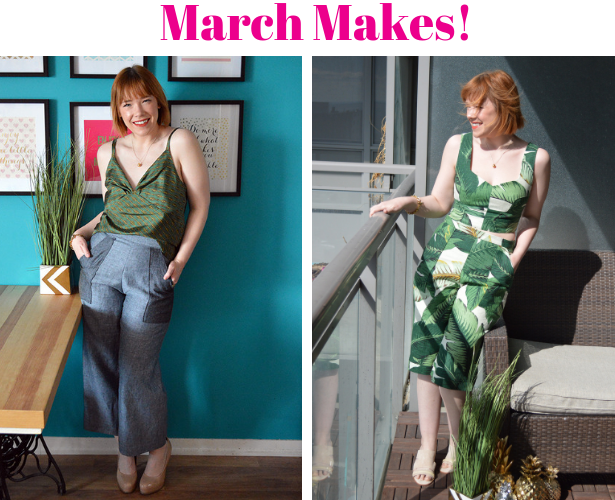 My March plans were to sew these two patterns for my Mash Up look! Our Bustier Crop Top with matching Utility Pants. This is how it turned out and I could not be more thrilled especially after my last Mash Up. Even my test try of the pattern turned out great! 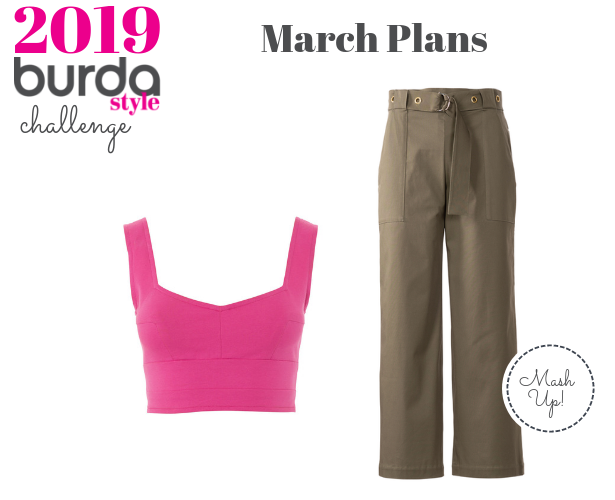 I made the pants also in a denim and above I have it paired with the tank I sewed for my February Burda Challenge. Now for April I plan on sewing up this kimono jacket pattern for my Mash Up, and this dress as a new addition to my summer wardrobe. I also need a new garment to film in as I’m traveling to film a new sew-along in May and I need more things to wear on camera. Speaking of sew-alongs, the latest FREE one just launched to make this track jacket. Register for free until April 30th and you’ll also get a chance to win a sewing machine.